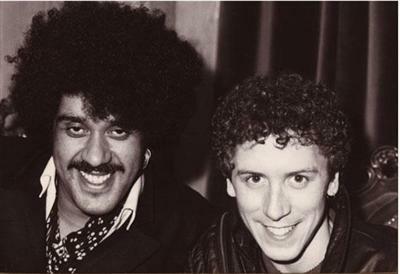 Special guest Gary Moore on ...BLUES SINGER which is a previously unreleased THIN LIZZY track. 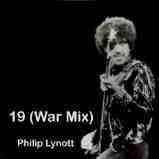 ** It's interesting to note that the (radio broadcast "sound over" ending of the) WAR MIX version of this song possibly explains where the title/inspiration for the song came from.... and further expresses Phil's feelings about war that were also evidenced in MILITARY MAN as well as OUT IN THE FIELDS and DEDICATION, the latter being officially released in January of 1991, five years after his death but completely in tune with world events of the time (the beginning of OPERATION DESERT STORM). 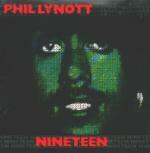 Or this explanation of the title for NINETEEN ... he got the name 19 when a group of bikers came into the bar where Phil was sitting, and one of them slammed his fist on the bar and said "I'm bad. Give me a beer", Phil just said, oh yea, noticed the 19 chapter of a biker group on their jackets. Then his talent lead him to the lyrics from just one idea like that. It is said to have been in Texas. 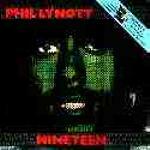 Another suggested explanation is that PAUL HARDCASTLE the producer of Phil's NINETEEN (and the author of an earlier, very different and unrelated hit-song, also called NINETEEN) created the "WAR" mix of the song, without input from Phil. It very definitely has an anti-war tone, with machine gun sound effects then ending with a news broadcast clip about age 19. 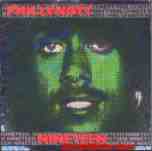 Since Hardcastle was the producer maybe this was HIS spin on the song, not Phil's. In which case the clip in WAR MIX is probably a clip from the same documentary that his (Hardcastle's) own song ran into trouble over for 'unauthorized use'. That would explain the confusion over the origins of the song. Interesting that ... Phil was 19 "a long long time ago" (1967), only a couple of years from the "1965 age 19" date in the news clip.